i will be the first to admit that i am not into halloween nearly as much as my friends and neighbors seem to be. i personally don’t like dressing up, and i don’t really like the spooky/garish aspect of it (think skulls, skeletons, and fake blood…yuck). but if there is one thing i do like, it’s that my kids have fun!! 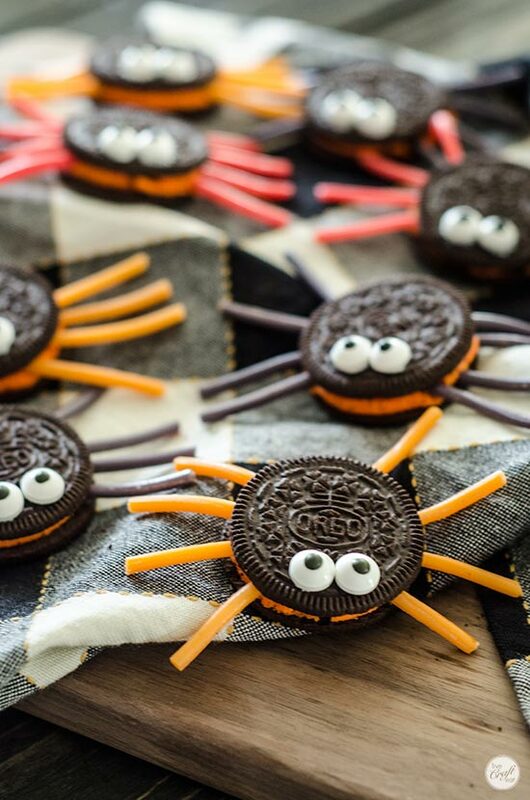 they do like dressing up, carving pumpkins, and of course all the treats that go along with this holiday! 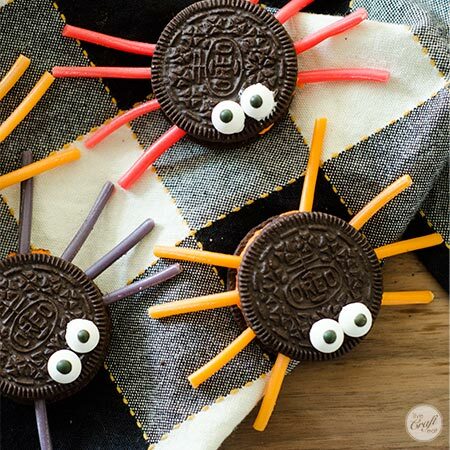 so if i’m going to make decorations or treats, they are not going to be the spooky kind, but rather cute little spiders (like these easy pine cone spiders that i know your kids would love to make), or little ghost decorations or tissue-covered lollipops made to look like ghosts, or even some halloween bunting. 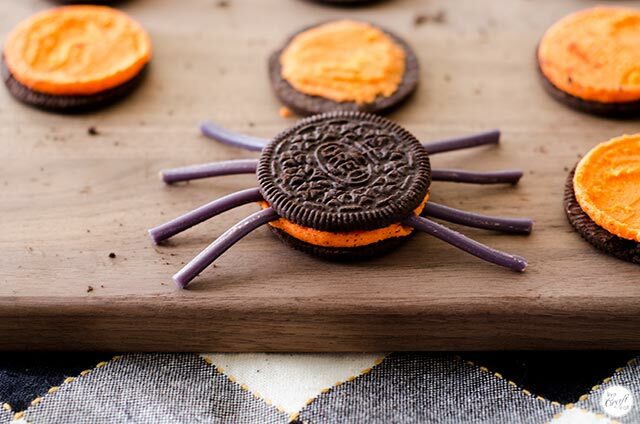 that’s why we instead of making severed-finger pretzels or brain-looking cupcakes we’ll make these oreo licorice spiders for our halloween treats! they couldn’t be easier to make. 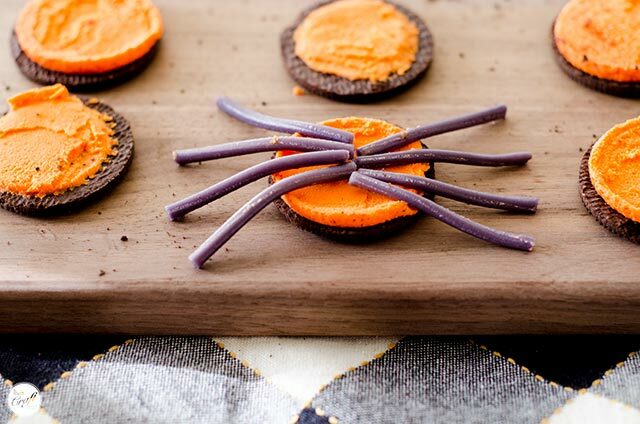 you just need a box of oreos (they had these orange-filled oreos at the store because it’s so close to halloween but the regular white-filled kind would work, too! ), licorice string (aff link) (i couldn’t find any licorice string at the stores near me, so i bought some twizzlers pull ‘n’ peel [aff link], cut them into the lengths i needed, and then pulled them apart into their individual colors), and edible eye candy (aff link) though you could use mini m&m’s or skittles too if you couldn’t find any eye candies. you’ll also need some icing to use as the glue for the eyes. 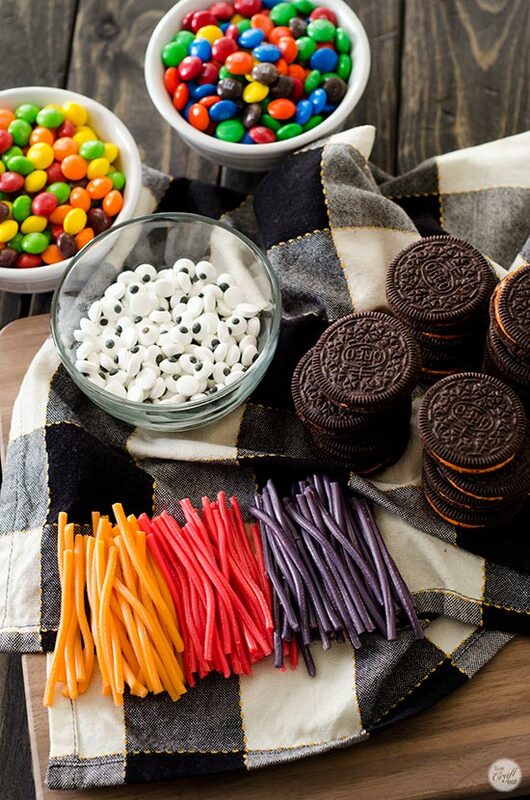 first, pull apart the oreo cookies. lining up the tops and bottoms makes it faster to make the cookies! next, take the licorice strings and gently lay them on top of the bottom half of each cookie – 4 on the left side and 4 on the right side. 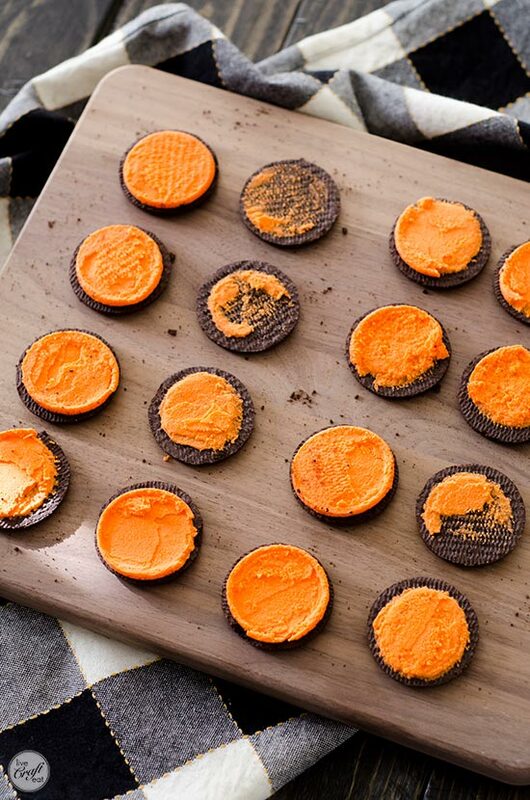 you do not need to press them into the orange icing. 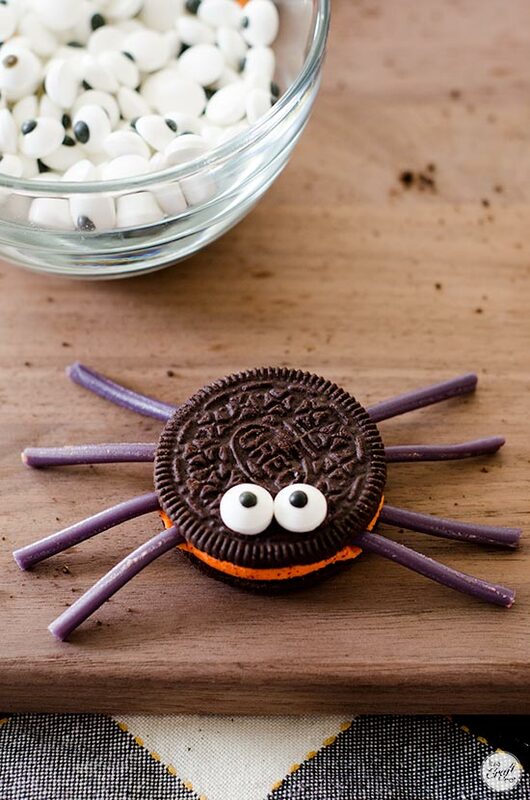 now take the top of the oreo cookie and gently press it on top of the licorice legs with the palm of your hand, being careful not to break the top cookie. see how easy this is going so far?! we are already almost done. 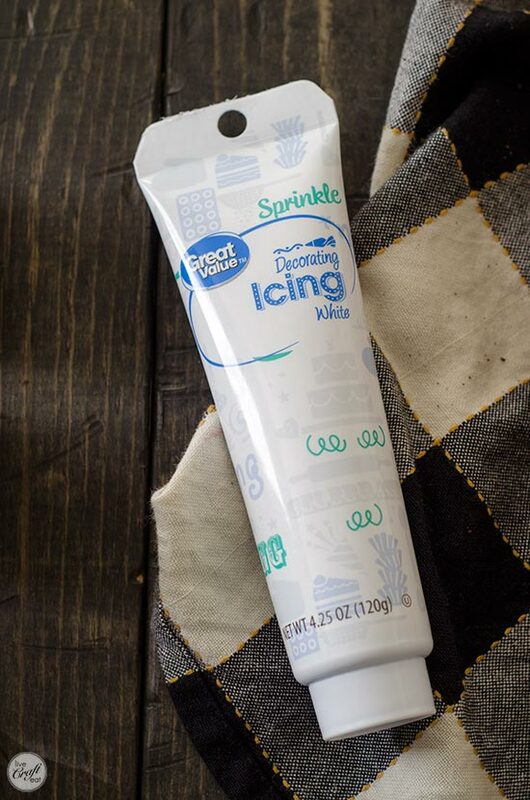 all we have left to do is to grab some icing. you can make your own, but this store-bought tube is pretty inexpensive and the hole is just the perfect size for the candy eyes, regular-sized m&m’s, or even skittles. 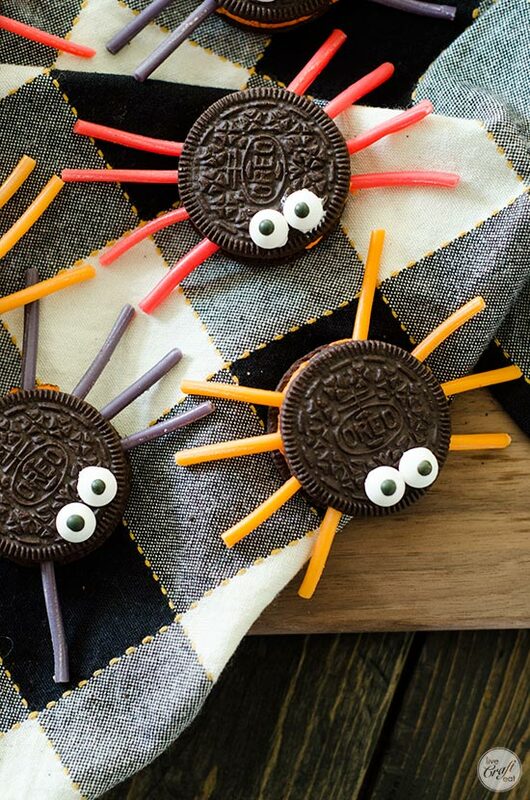 gently place the eye candies on each spider. they instantly come to life! how cute. and just like that you are done! you can make a whooooole bunch of these, they are so fast and easy to make, and are great for the kids to help with! 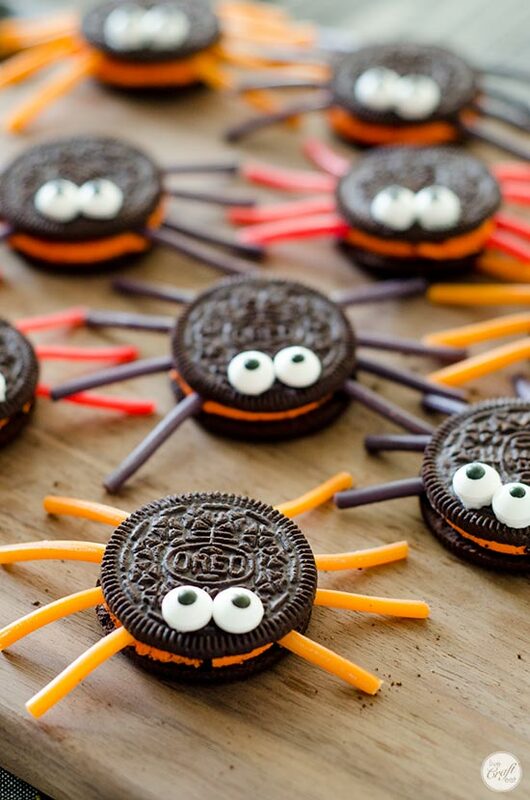 these are the only spiders i’ll allow in my house. they can make an appearance anytime! we made a bunch of these while friends were over to play and they were seriously devoured within seconds. these are the kind of spiders that people come running to instead of running from (like me!). Oh my gosh! Sooooo stinkin’ cute! I’m so gonna make these!! !